Regular Dog Grooming is beneficial to your pet's health and well-being. It will also improve the way your dog looks and feels. Decadent Dogs is a professional and City and Guilds qualified groomer where I have a full understanding of all coat types and what tools are needed to be used on each type. 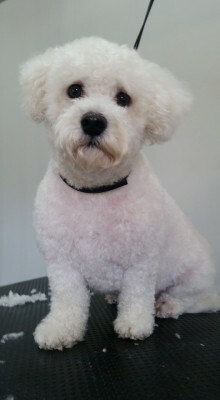 I will groom to breed standards or will do a pet trim as per your own specifications. If you own a breed that requires routine coat trimming such as a Shih-Tzu, Poodle, Cockapoo, Maltese or Cocker Spaniel, etc, keeping a regular grooming schedule will result in a heathier coat. As a groomer it pains me to have to resort to shaving a dog completely as the hair has become matted and clumped. Not only does your beloved canine suffer pain and pulling from the mats, but they can also develop skin conditions and sores from bacteria that develop under the mats. Heavy matting of the coat will result in clipping underneath the matting. 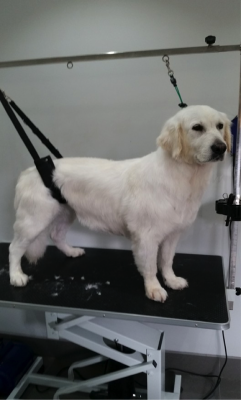 Double coated breeds such as Labrador, Golden Retriever, German Shepherd, Pomeranian, Border Collie, etc, shed frequently and also benefit from regular grooming. This will remove the dead undercoat preventing mats and keeping the coat and skin healthy. It will also heavily reduce the amount of shedding in the home. 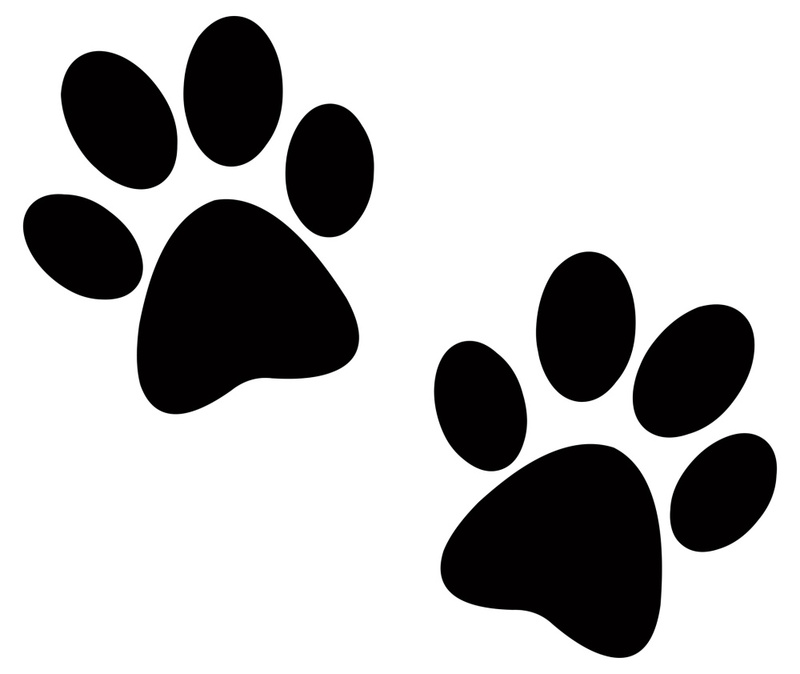 Dogs cool off by panting and via air circulation as it passes through the pads on their paws. By keeping the hair between the pads clipped short this will significantly benefit your dog’s ability to reduce their temperature. It will also prevent matting between the pads causing discomfort and will increase traction preventing slipping on smooth surfaces. Older canines with weaker skeletal systems benefit from keeping their pads clipped. Dogs with longer facial hair can develop crust in the corner of the eyes. Sores can develop and lead to discomfort, infection and greater medical issues. Regular grooming will alleviate the development of bacteria around the eyes resulting in a healthier dog. 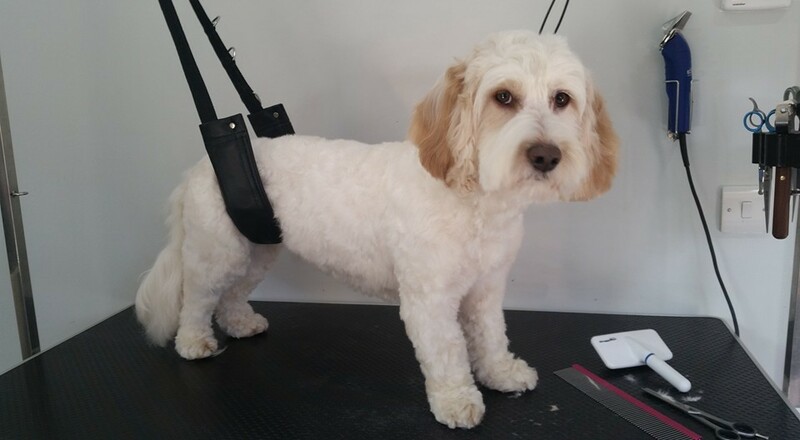 An important part of grooming is keeping your dogs’ nails trimmed resulting in a more mobile and agile dog. Overgrown nails result in splaying of the pads meaning your dog needs to adjust its stance to compensate for the nail length. This can lead to arthritis in their limbs and can also increase risk of catching their nails. Grooming at Decadent Dogs is so much more that a bath and trim. I will clean your dogs’ ear which will prevent the build-up of wax that bacteria adhere to, thus preventing health issues. I will also pluck excess hair from the ear canal letting air get in to the ear keeping them healthy. Regular grooming can also help to identify skin issues as well as health issues such as lumps and bumps and infections. 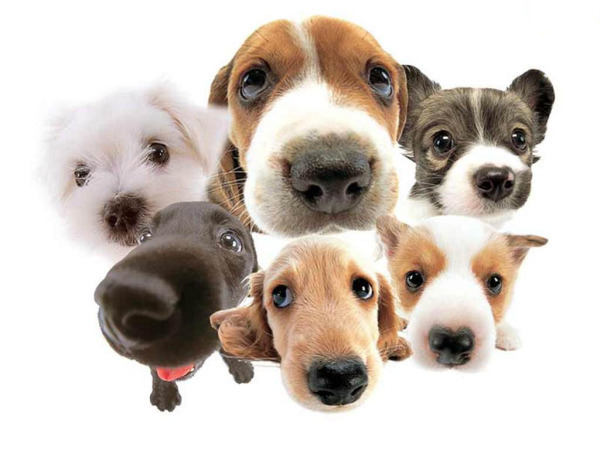 If these are identified in the early stages it will improve the outcome and help keep your dog healthy and happy. Of course the most important benefit to bringing your dog to our Salon is a clean, happy dog that you want to cuddle up to!